If your child wants a personalized Easter portrait, here’s the perfect solution! 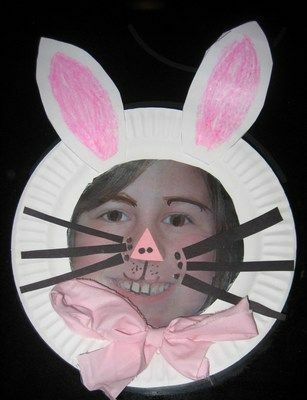 Just grab a print out of your child’s favorite photo, a disposable paper plate, some scissors, etc., and you’ll have the perfect holiday themed bunny portrait in no time! Hang it on the wall, and a suitably impressed Easter Bunny might just leave extra treats!